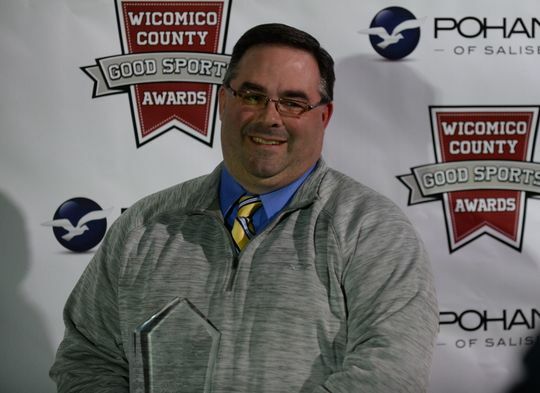 Bill Pettitt, VP of Engineering for Allen & Shariff’s Salisbury office, was honored at Wicomico County’s second annual Good Sports Awards, which recognize youth athletes, coaches, and volunteers throughout the region. The awards banquet honors organizations and athletes who demonstrate four core values – fun, community, sportsmanship, and skill development. 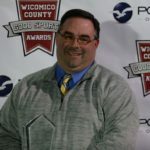 Bill received the Official of the Year award, which recognizes an individual’s commitment, knowledge, and passion for the game. As the lead official for Upward Flag Football, he coordinates a team of about 20 volunteer referees and interacts with the players, coaches and parents in a positive manner. Bill serves his community by going above and beyond to make local youth sports more enjoyable. Community and team spirit are two of the seven core values that Allen & Shariff has built its foundation on, so we’re not surprised that one of our key team members earned recognition for these values outside of the office. Congratulations, Bill! Thanks for all you contribute to your community, and to Allen & Shariff.